who knew there were so many indicators a hormonal imbalance!? Today’s two part series is brought to you by a very talented PT & Bio-Signature Practitioner, Marcus Baker, who resides on the Gold Coast. I first met Marcus whilst training at my favourite training centre, Sculpt Burleigh, and his passion & love of everything health & fitness related is ridiculously infectious! Here he discusses with Craving Clean the latest science behind hormones & their links to metabolism, weight loss, hunger and everything in between…if you have ever felt stuck in a rut and & failed to lose the weight, even after a following a sustainable, sensible nutrition & exercise plan…this could be exactly what you the phantom answer! Whether it’s your period, menopause, stress, or plain old heredity, women (and men) have felt vulnerable to hormonal cravings and sluggish metabolisms for years, with nothing but an uncomfortable feeling to prove it. Frustrated with little results after massive outlays, science is now uncovering many links between hormones & your healthy body dreams, helping you to manage your weight, shape, appetite- with personalized hormonal balancing solutions available at your fingertips with the help of the Bio-Signature programs. From very early in my life I have been involved in sport. After a successful first year of senior Rugby League I joined the Titans U/20’s full time squad. Eager to earn my place, I did everything that was asked of me, plus more, completing not only scheduled sessions but also as many extra sessions as possible. Unfortunately this was to my detriment. My performance suffered due to over use injuries, illness and inability to recover from sessions. I credit this to inadequate nutrition, zero supplementation and incorrect training procedures. I simply took too much from my body than I gave back and I payed for it by being relegated the following year. I do take responsibility for my shortcomings but one of my biggest failures is listening to the wrong people. Out dated old men with that country mentality of more is more; “Have a scoop of concrete princess and harden up”. This attitude is rampant in Australia, and in the health and fitness industry. Train more…Do more cardio…eat less calories…eat less fat…eat less carbs, and lastly my most hated…”Get Motivated”. Motivation is irrelevant unless you’re putting that energy in the right direction. I was taught this the hard way. The perception of ‘healthy’ and what’s required to improve body composition is so far off its criminal. My main focus in life is trying to change this and provide an informed system. I try to put the same energy I did for sport into my education and furthering my skills, knowledge and tools. The best thing I have done on this journey so far if become a qualified Poliquin Bio-signature Practitioner. Bio-signature is used to correct Hormonal Imbalances and other limiting factors that affect body composition (in basic terms, the stuff that makes up your body- your fat to muscle ratio, water ratio, skeletal mass etc). The main focus of Bio-signature is to make you Healthier, the rest follows easily after. Q. What is meant by the term Hormonal Imbalance? A. The term hormonal imbalance is a very broad term. The body is a very very complex system. If one hormone is out, a complex chain of events will occur. I see it more of a way of describing how well a particular hormone and the systems associated with that particular hormone are functioning. Q. What do you find is the biggest difference between men & women, besides the obvious estrogen & testosterone? A. Not a lot. This is a problem. The difference between the two are becoming less and less. Males are becoming more and more female due to the increase in estrogen production due to the high levels of exposure to environmental toxins and xenoestrogens. Xenoestrogens mimic estrogen and in turn increase estrogen production. Not only do they increase estrogen production, which throws a spanner in the works to begin with. It also increases estrogens that favour the harmful estrogens pathway in the body, which is linked to an abundance of health problems in both sexes. It commonly leads to the increased conversion of testosterone to estrogen in both sexes. Guys are obviously hit harder by this due to the greater abundance of testosterone and can also start to take on female characteristics. Q. How does a Bio-Signature test work? What information can it tell us? A. Hormonal Imbalances manifest internally and externally. Measuring the internal markers are a bit more expensive and invasive than testing the external markers. Both should be done but by measuring the external indicators you can get and idea of what’s going on internally. This is done by taking skin fold measurements from 12 very specific sites of the body. Increased body fat storage in these particular sites is a tell tale sign that the hormone that’s linked to that site isn’t functioning optimally. The Chin and the Cheek are always the first to go down when somebody is losing fat, so we use this as an indicator to track what’s happening. The Pectorial site (upper chest for girls, lower chest for guys) and the Triceps (back of the upper arm) are more relevant for males. They give us an indicator of how much androgens are being converted to estrogen and of the person’s androgen status. Estrogen is primarily a female hormone, androgens are primarily male hormones. Testosterone is an androgen. It is for this reasons females will never be as lean as males in the triceps due to the decreased production of androgen . It is the same reason females shouldn’t be afraid to lift heavy- you’re capacity to develop muscle mass is limited due to the lack of androgens and testosterone. Thighs (Quadricep being your front and hamstring being the back of your thighs) are your estrogen sites. They give us an idea of how much estrogen you are producing as well as your exposure to environmental toxins which can also mimic estrogen. Quads are what you make, and hamstrings are what you take and can’t excrete. Cellulite is linked with your estrogen health. Calves and the Knee give us an idea of your sleep and liver function. If the quality or quantity of your sleep is insufficient or your toxic load is too great, your liver function will be impaired. If your liver function isn’t up to scratch your ability to detoxify the body and produce growth hormone will be impaired. If you don’t care about GH production, that’s OK, even though you should as its important in optimizing the fat burning process and developing muscle which is an impaired process to begin with. 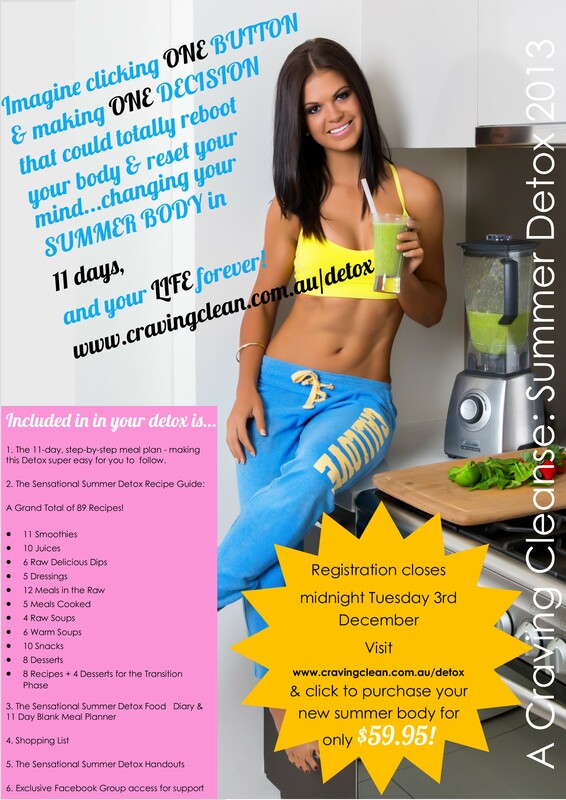 Detoxification is super important! We are bombarded by so many toxins in this modern age its imperative to be on top of this just to take care of your health. There is a really good book on toxicity I recommend you read. Its called achieving victory over the toxic world by Mark Schauss. You will probably slap your self whilst reading it when you realize how bad some of the things you are actually doing and using are for you. Its something every person should read. The perception of ‘healthy’ is so far off it’s criminal. As far as body composition goes, if your body can’t successfully remove a toxin from your system or if the your bodies toxic load is too big to deal with, that toxin will be stored within a fat cell, in turn increasing your body fat. If you guessed thighs, you guessed correct. The purpose of this process is to insulate your body from the damage. Think of it as a prison cell. 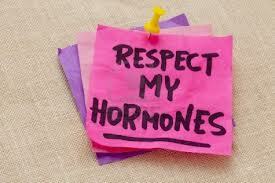 Something else to take into account is your body also treats estrogen like toxins. If your body can’t process them, metabolize them or excrete them they will be stored as body fat also! Optimizing liver function and the detoxification process as well as reducing the toxic load is very important not just for your health, but for body composition as well. Subscapular (shoulder blade) and the Suprailliac site (side of your hip) are indicators of your tolerance to carbohydrates as well as how well you handle the carbohydrates you actually put in your system. This information is has very important factors when it comes to prescribing carbohydrates for some ones nutritional protocol. Mid axillary (side of your ribs) gives us an indicator of thyroid function. Hypothyroid (under active thyroid) can halt or stop fat loss and is linked to other health concerns, so it’s a very important factor to address if it isn’t functioning optimally. Umbilical (near your belly button) when scoring highly reflects the bodies long term exposure to high cortisol. Cortisol health (stress hormone) is very important to optimize for health, body composition, performance and for how you feel in general. I test my clients week by week to make sure I have the most information possible in regards to how they are responding to there current protocols. Bio-Signature is an excellent method to identify what’s happening with your weight, if your gaining/ losing body fat or muscle. Skin folds are the most common tools we use, however different physical and behavioral occurrences give us additional, and vital, information as well. Stayed tuned for part two tomorrow, where Marcus discusses cortisol & insulin in detail, & their massive role in reducing your hormonal imbalances! 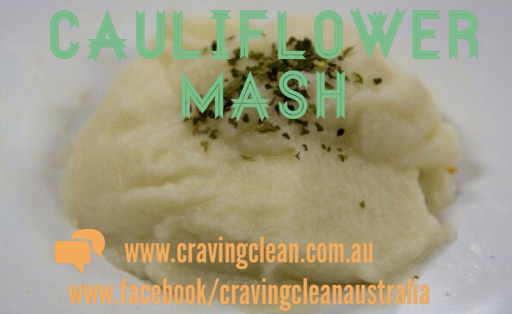 Warm & Hearty Mash…minus the carbs! Again with the baby blog…this mouth-watering side does indeed look like baby food! 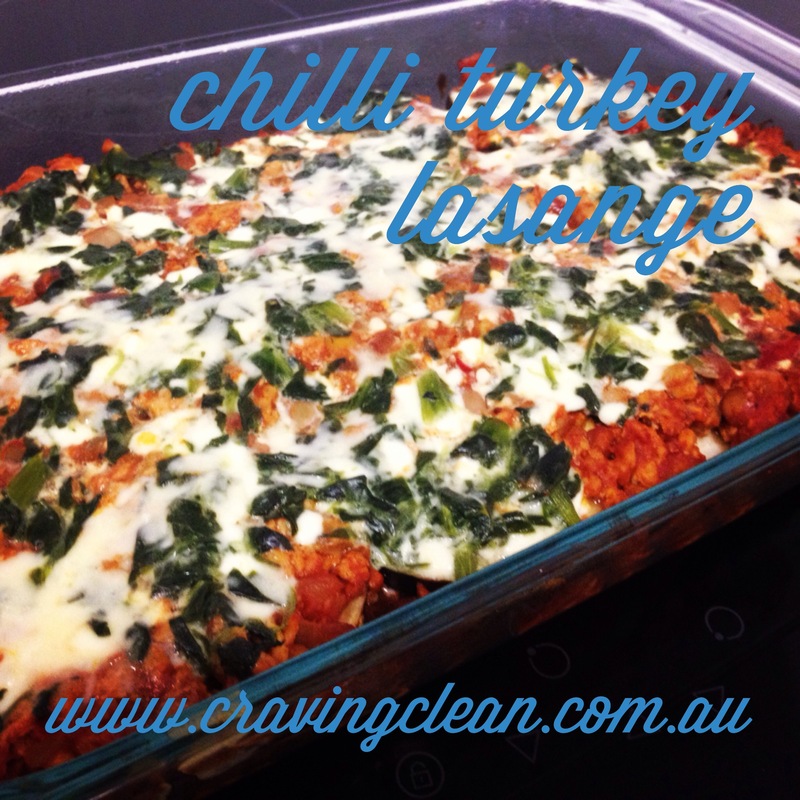 But regardless, it is one of the creamiest, body warming mashes you will have…without the added carbs & calories! How is this so do you ask??? Introducing my phantom food…cauliflower! (Now see why I didn’t put that in the title…I think I’ve just lost half my followers automatically) But WAIT…before you go, PLEASE just try this once. I don’t think anyone can say they are a massive fan of the white flowery vegetable, but it does make some amazing alternatives to typically high gluten, high carbs & high calories meals, such as fried rice, pizza bases & mash. Trust me- you will soon be an adorer of this veggie-in-disguise, and it’s a great weapon to add to your arsenal when the kids are being that tad bit difficult. Surprisingly, the bland little cabbage also comes packed with an array of astonishing health benefits! High in vitamin C & manganese which are both powerful anti-oxidants found in cauliflower (approx. 1 cup of cauliflower doses your body with 55mg vitamin C), helping to fight free radicals found in the body that promote cancer cell growth. High fiber content means cauliflower is a great digestive food to add to the diet, assisting in detoxing the body of toxic substances. 1/2 head of cauliflower, florets chopped off. 1- Place chicken stock, water, cauliflower & 1 tsp garlic into a medium saucepan, and bring to boil. 3- Remove cauliflower from saucepan with a slotted spoon and transfer into a blender. Much love, thanks, and HAPPY FRIDAY!!! There is something about Orange & Almond Cake that screams ‘rainy afternoons in a coffee shop getting warm & fat’. 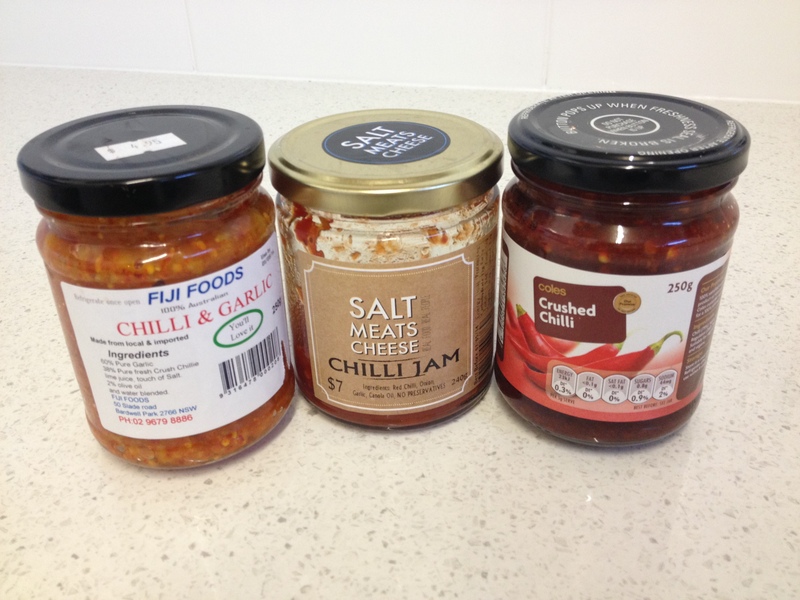 Enter my favourite ingredient….PROTEIN! A high protein, moist, zesty cake, with just enough good fats to reap all the health benefits, and just enough whey to mimic the texture of a much loved original. Chocolate Chilli Mango is one of those websites that I first stumbled upon when I began my journey into the world of ‘healthy’ alternatives. With a site packed full of things such as Protein Cheesecake with Mango, Wild Jaffa Cookies, and Whey Protein Bread (yes…bread…holy hell) it’s fair to stay I am still addicted! And when I asked the beautiful Viviane if she would mind sharing her recipe with Craving Clean, she was only too happy! 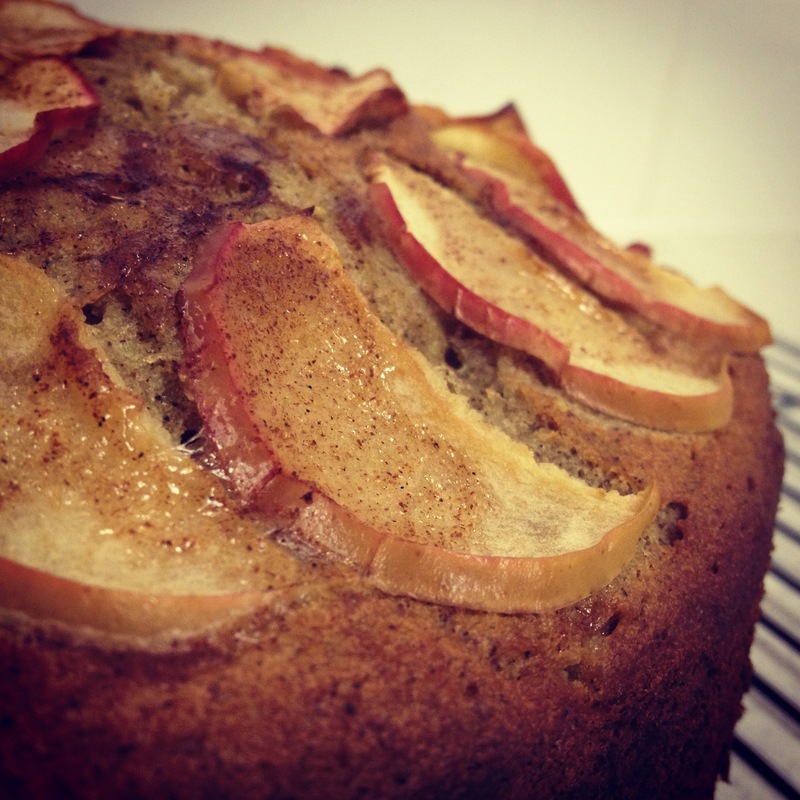 So here you are…a simple, devine, beautiful cake. Enjoy! 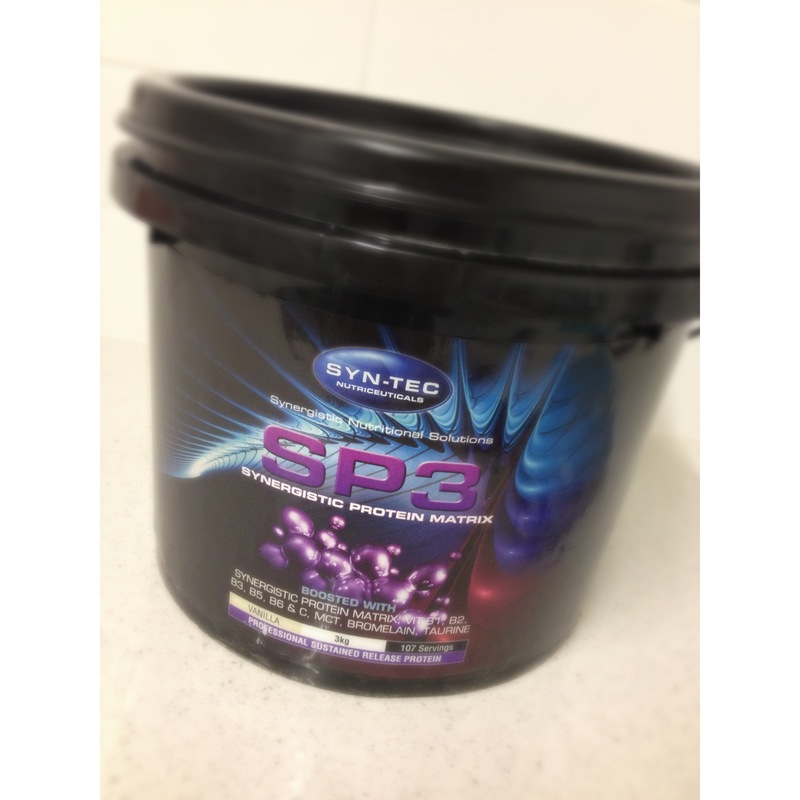 Note: I used my much loved SP3 protein from Syn-Tec for the protein as it is a casein blend, and it worked beautifully! Use the best, sweetest oranges in season. I have used blood oranges, but navels or valencias will also work beautifully. 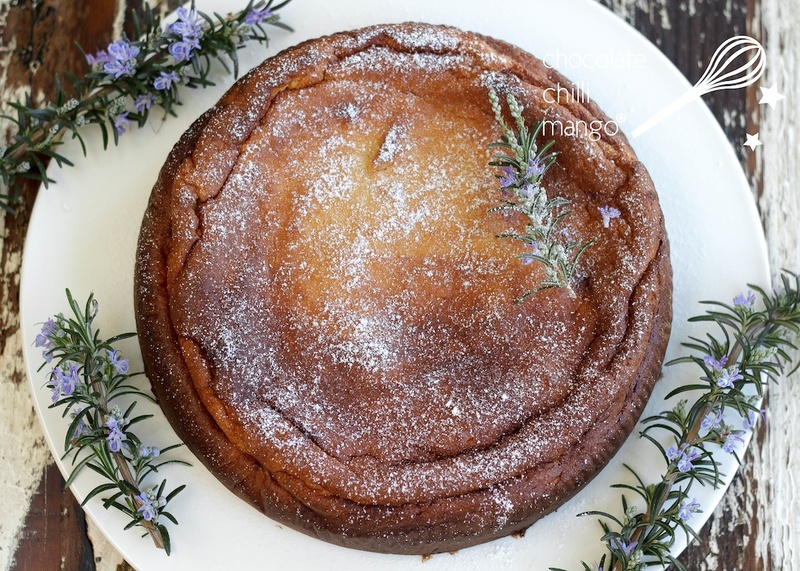 You can, of course, use 6 whole eggs instead of the 2 eggs and egg whites in the recipe but if, like me, you like a lighter cake, this version is a great option. If you are lactose intolerant, substitute rice protein powder for the casein. 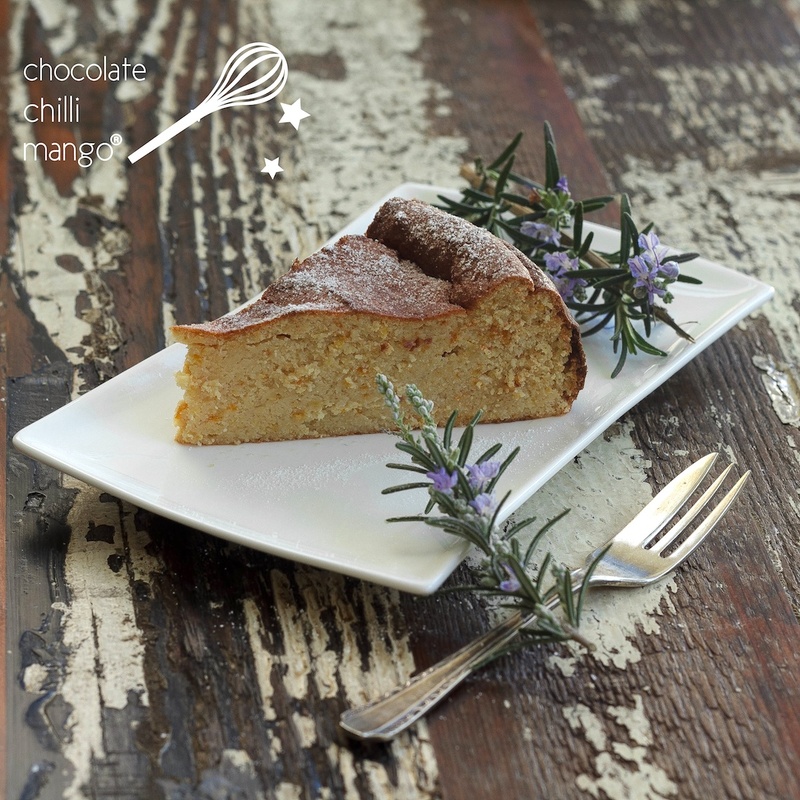 This cake is gluten-free and is suitable for those on a FODMAP diet. Place the oranges in a saucepan and cover with fresh water. Bring to the boil and simmer over a low heat. If the oranges are large, let them boil for 2 hours. If they are small, reduce the time to 90 minutes. Drain the oranges and set aside to cool. Preheat the oven to 190℃/375℉. Line the base and sides of a 24 centimetre springform or loose-bottomed cake tin with silicon baking paper and set aside. Quarter the oranges and remove any white pith and pips. Place the orange quarters in the bowl of a food processor with the eggs, egg whites, and sweetener. Process until smooth. 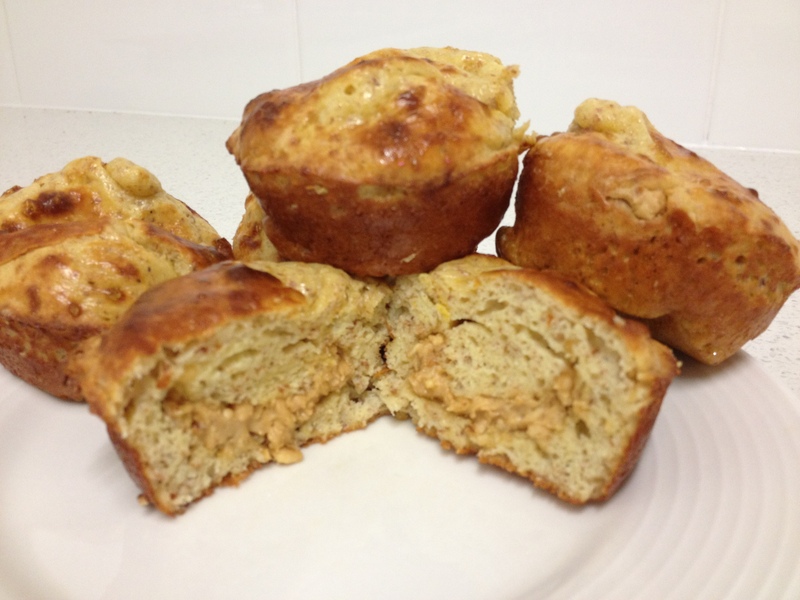 Mix together the almond flour, casein powder, and baking powder. Add to the orange egg mix in the food processor and process until smooth. Transfer the batter to the prepared cake tin and smooth the top. Bake for about 45 to 60 minutes, until golden and a skewer inserted in the centre comes out with just a few crumbs sticking to it. Cool the cake in the tin before gently removing and transferring to a serving plate. It is lovely served with a little extra “icing sugar” on top. Simply pulverise a little granulated Natvia or other sweetener in a food processor, until fine. Sift it lightly over the top of the cake just before serving. And as overwhelming as that all sounds….my ‘Thankful Thursday’ is quite simple…I want to send a massive thank you to my beautiful friends over at Syn-Tec Sports Nutrition! Although I have been experimenting with baking with protein for a few years now, it’s ALWAYS something that is easier said then done. Sometimes the protein is too chewy, sometimes it’s too dry when cooked, and sometimes it just tastes plain weird! Since moving back to the beautiful Coffs Harbour, I haven’t cooked with my beloved Syn-Tec protein AT ALL! And man has it made a difference in my recipes. But, ever the supportive crew, today in the mail I received a gorgeous big yellow & red bag with……SP3! SP3 is great to cook with as it’s predominately a calcium caseinate protein, offering a sustained release period, as well as added digestive enzymes (meaning it’s great for people who find they bloat easily with protein!) And quite simply…it’s AWESOME to cook with! The guys at Syn-Tec have always been great supporters of mine, and their products are absolutely, undeniably some of the BEST on the market. They are always happy to have a chat to you about what you need to reach your goals sooner, without being the ‘pushy’ sales type! I could go on….but click the above link, do yourself a favour & read all about them! Now onto the exciting stuff…the recipe is one of those ones I love…where you pretty much chuck everything into the bowl & mix. But it works. 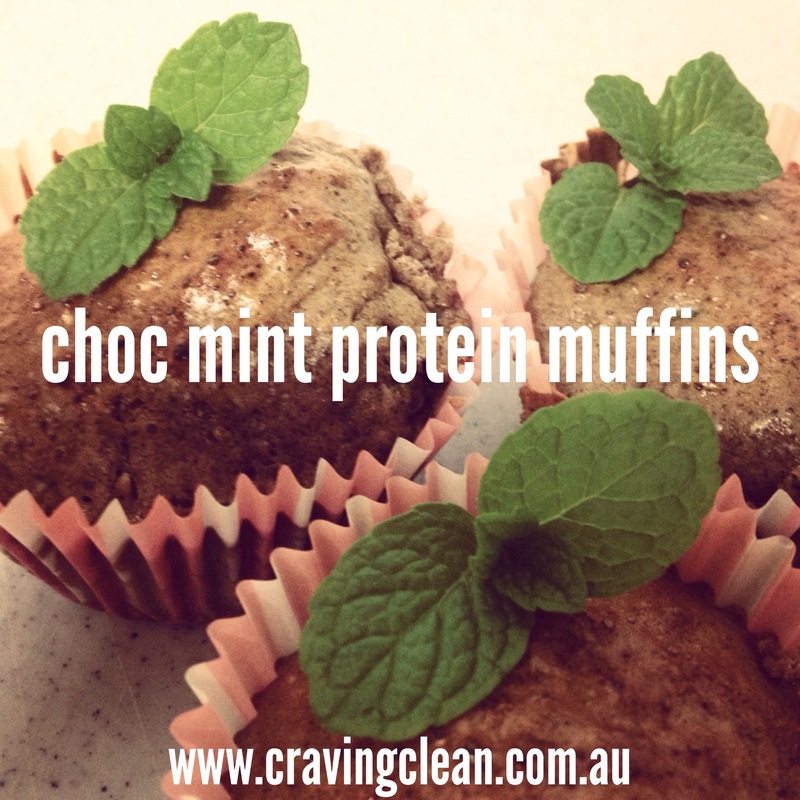 It is also extremely low in carbs, but high in protein with some good fats added in for the extra health kick! 3- Spoon 1 tbsp mixture into the bottom of each tin, so it fills to half way. 4- Place 1 tsp of peanut butter into the middle of each hole, then another 1 tsp of mixture on top, so that the tins are filled 3/4 full. 5- Bake for 15 minutes, until golden on top. Transfer to a wire rack & leave to slightly cool. Serve with yoghurt & sugar free maple syrup! Now I’m off to enjoy the wonderful day that is Coffs Cup! Sunshine, races, family & friends….my idea of a perfect day! So sending you all lots of happy & thankful vibes for a beautiful day too. 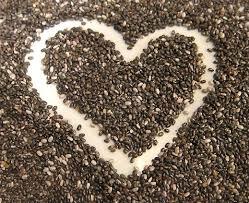 I’ve been researching quite a few recipes lately involving chia seeds. If you haven’t been introduced to these black & white beauties…then stop being rude & go and say hi! Chia seeds are super absorbent, so make great thickening agents for stuff like jams, pastes, and breakfast bowls, and become nearly ’gooey’ once soaked. I have only ever used them in smoothies & breakfast bowls/jars, but wanted to venture out a bit! Chia seeds definitely deserve the accolade of ‘super food’ when it comes to nutritional value…for all those dairy warriors out there- did you now chia seeds contain five times more calcium than milk on a gram by gram basis?! 2. It is super high in dietary fibre, making it great for digestion and healing digestion issues. 3. It contains 20% Omega 3 ALA, making it a super food for the brain and heart. Chia has eight times more Omega 3 than salmon! 13. Chia makes a great egg replacement. Just combine with water to form a gel, and add it to recipes that call for egg. Add all ingredients into your magic bullet or blender, and leave to set in the freezer for 15 minutes (the other alternative if you’re super prepared is to soak overnight). Blend for 30 seconds and set aside. *Note: when making chia gel, the typically ratio is 1 tbsp chia to 1/2 cup liquid. However with the addition of the raspberries above, there is enough liquid to make a nice thick jam. 1- Preheat oven to 180c. Grease an 8 hole muffin tray. 2- In one bowl, beat eggs, coconut oil, vanilla extract & Nativa for approximately 3 minutes with an electric mixer, until lightly fluffy. 3- In another bowl, add desiccated coconut, flour, baking powder, arrowroot, and salt, mixing well. 4- Fold the wet ingredients of bowl one into bowl two. Add half the coconut milk, mixing well, then the remaining half. 5- Pour into 8 muffin tins. 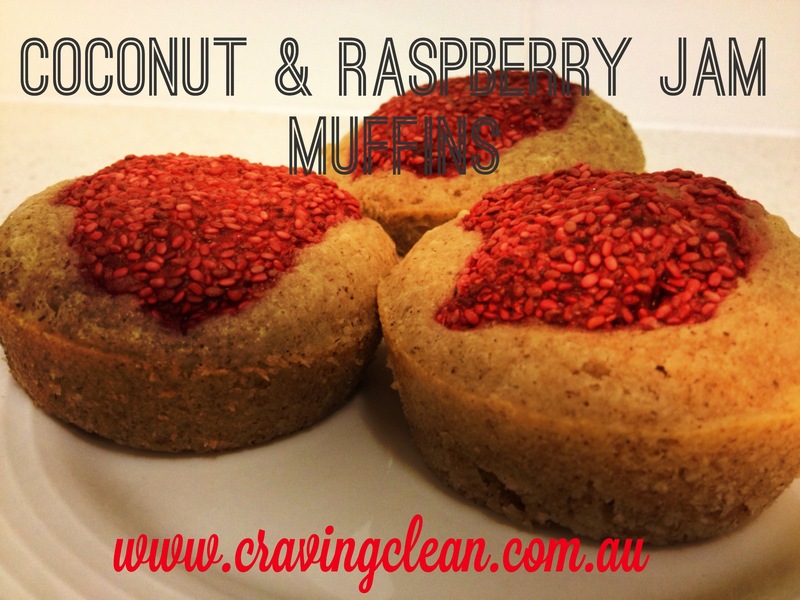 6- Dollop one tablespoon of raspberry jam onto top of each muffin, and swirl through with a skewer. Top with one tsp of jam. 7- Bake for 12-15 minutes, until golden and spring back at the touch. I am going to put it out there & say that this would have to be one of the most delicious, gluten free, health in a tin cakes I have made to date. I’ll be honest- part of me wanted to keep the recipe a secret to use as an incentive for you buy my next impending, but hey, you guys deserve it now! (And it has given me a few new sparkling ideas for the next few baking projects). Coconut flour, as well as being gluten-free, is also hypoallergenic, so it a great alternative to flours for hyper-sensitive eaters. It is loaded with approx. 1g protein per teaspoon, & tonnes of fiber, and is also high in manganese, which also supports bone health, nervous system function, thyroid health and helps to maintain optimal blood sugar levels. The benefits of cinnamon cannot be over-exaggerated; this little guy is in my eyes a ‘superfood’. 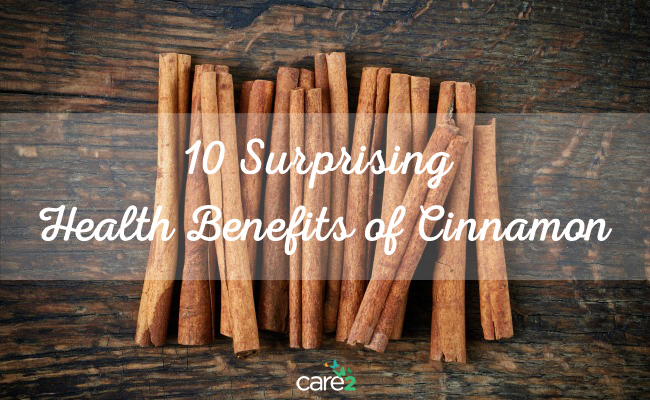 Cinnamon regulates blood sugar levels, reduces LDL cholesterol levels, reduces pain link to arthritis, can assist in stabling & supporting a healthy,m functioning metabolism, and has also been shown to be effective for menstrual pains & infertility! And finally Chobani yoghurt- quite simply my favourite because it tastes great, has next to nil sugar, and has the highest protein I have found in any other yoghurt! Study time is up! Let’s get to it! 1- Preheat oven to 180c. Grease or line a circular cake tin. 2- Peel & core 3 apples, dicing into 1cm cubes, and put aside. 3- Sift all dry ingredients together in one bowl. 4- Combine all wet ingredients into a separate bowl, mixing well. 5- Add wet & dry ingredients together, and fold through apples. Mixture is not as runny as a usual cake batter, so don’t stress. If you are concerned, you can always add more almond milk. Pour into cake tin. 6- Slice the last apple thinly, and layer on top of the batter. Sprinkle cinnamon on top, or you can make a sugar cinnamon glaze by mixing a dash of water, 1 tsp arrowroot, cinnamon & stevia in a cup and pouring over! 7- Cover with foil, and pop in the oven for 40 minutes. Afterwards, uncover & let bake for a further 10 minutes until golden on top. 8- Place on wire rack, and serve warm. 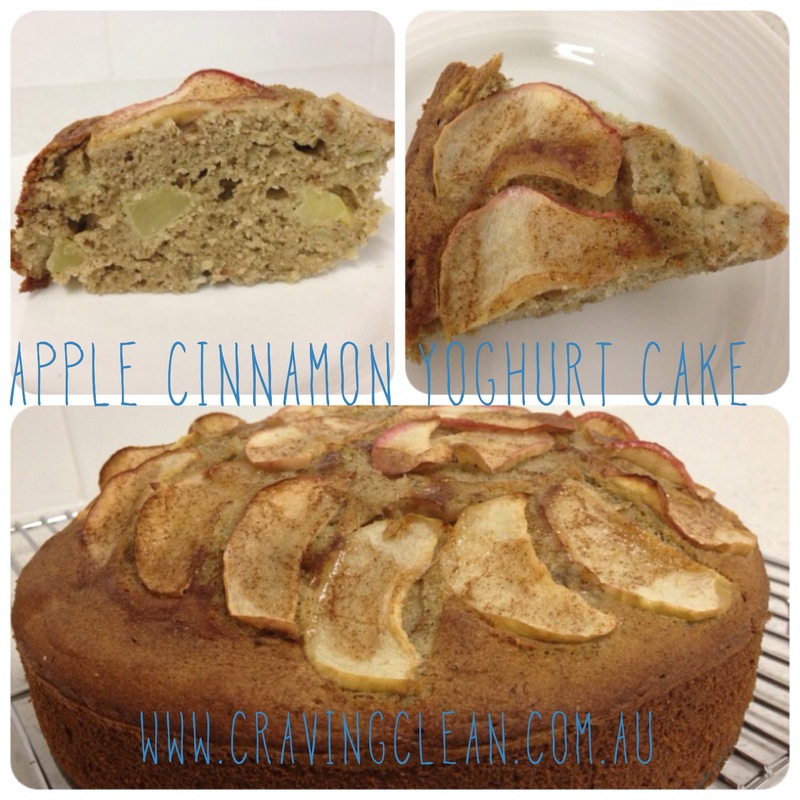 The great this about this recipe is the cake gets BETTER with age….although there are no preservatives, the apples continue to moisten the cake over a few days, so it doesn’t harden at all- quite the opposite! HAVE A BEAUTIFUL MONDAY MORNING!!!! Start your week off right. Get out of bed. Go for a walk. Wake up with a smile & keep it plastered there all day. Monday is the best day- a whole new week to make yours! 1) Heat large saucepan to medium heat, adding minimal oil if needed. Saute the onion & garlic for a few minutes, until the onion turns clear, then add turkey mince. Cooked until just browned. 2) Add 4 Bean Mix, chilli jam & basil. Stir through, and reduce heat to a simmer. Prepare spinach according to packet direction (using heat in microwave for 2-3 minutes). In a bowl, combine spinach, cottage cheese & salt & pepper until well combined; a semi-runny sauce. 4) Spray a large baking dish with non-stick spray (I use coconut oil spray, or for a better alternative a non-aerosol olive oil spritzer). Line the bottom of the tray with your egglant sheets, ensuring they only over-lap by a few millimeters. Then lay your zucchini pieces the alternate way, filling any gaps. 5) Check your turkey mixture to ensure it tastes to perfection, add more chilli, garlic, basil and/or salt and pepper if needed. Pour half of the mixture onto your first eggplant layer, smoothing out. 6) Dollop half of your cheese sauce mixture on top. 7) Again, line the bottom of the tray with your remaining eggplant sheets, ensuring they only over-lap by a few millimeters. Then lay your zucchini pieces the alternate way, filling any gaps. 9) Cover with aluminum foil, and transfer to preheated oven of 180c. Cook for 20 minutes covered, then uncover for the last 10 minutes. 10) Cut into 6 pieces once cooked, and serve immediately with a fresh side salad. 11) Then please show your thanks by following me on IG (charlotte_kate (Charlotte Nolan)) & tagging me, or clicking follow on this blog to get all my latest updates! Time to get up & catch some sunrise cardio sun…have a beautiful Friday and enjoy your weekend! 3- Place all ingredients into a large bowl except the cacao nibs, and mix with a wooden spoon. The batter should be a normal cake batter consistency, however if not, just add an extra tbsp of almond milk at a time. 5- Spoon cacao nibs on top of each muffin, and stir in with a skewer. The nibs will drop whilst baking, so the more you leave towards the top the better. Thank you so much for connecting through my blog…I know how hard it is when you first begin on a clean eating mission, but trust me you will learn to absolutely love ‘clean’ food- the taste, the way it makes you feel, the way you look…it can only get better! Luckily for you I have a major sweet tooth too (sshh), so I’m sure you’ll find some of my recipes to be right down your alley! Keep me updated on your progress & training, and let me know if I can help with anything at all. I have just discovered your blog through my sister in law Casey- Jason’s partner. I’m so excited the timing is perfect! I have just begun my clean eating journey and have no idea where to start apart from “fresh and lean”. 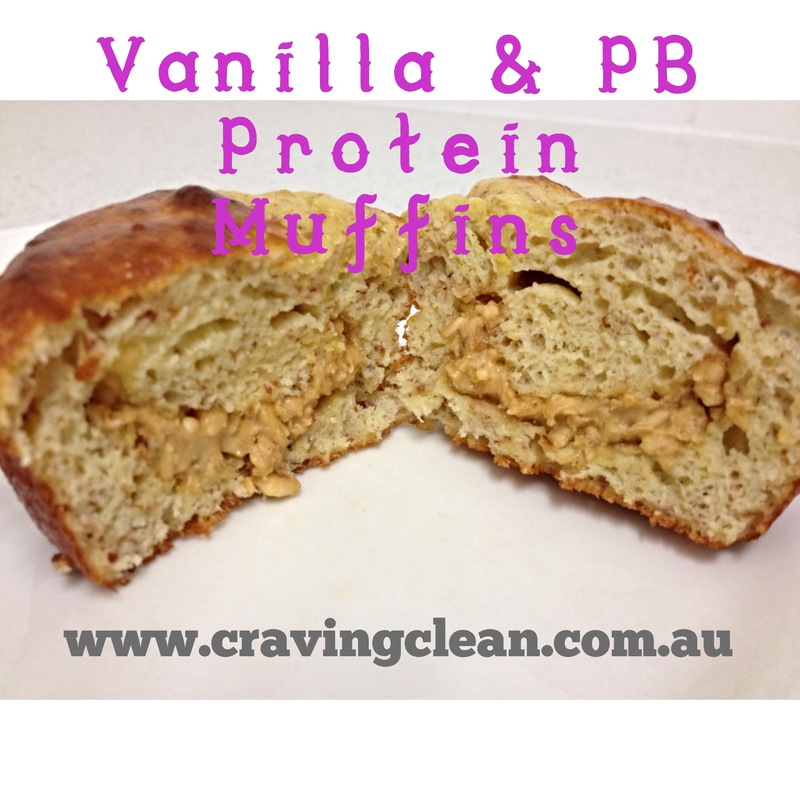 My down fall is my love for sweets so your muffin recipe is going to be great for me! I can’t wait to see more! I will be sure to pass on your info to the people I have just started training with! Click below to keep up to date! Purchase some further inspiration from my personal ‘inspirators’! © Charlotte Nolan and Craving Clean, 2013. Unauthorized use and/or duplication of this material without express and written permission from this blog’s author and/or owner is strictly prohibited. Excerpts and links may be used, provided that full and clear credit is given to Charlotte Nolan and Craving Clean with appropriate and specific direction to the original content.